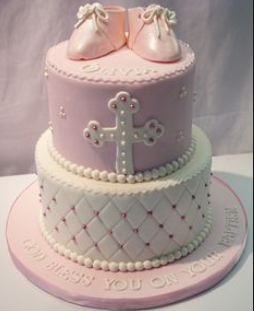 Baptism is a special time among Christian followers where a new comer or most commonly a young child/baby is baptized and welcomed to the religion and church. 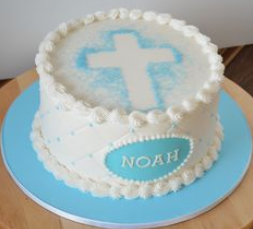 Baptism is usually done by full (or part) immersion into water at the Church or by water being poured three times on the forehead – this is generally the process followed for young children/babies. 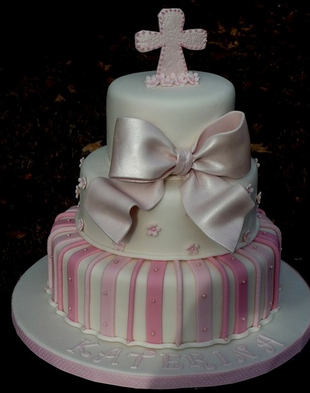 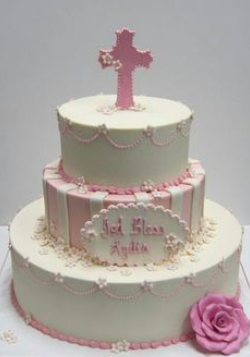 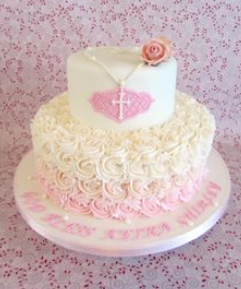 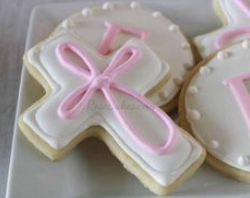 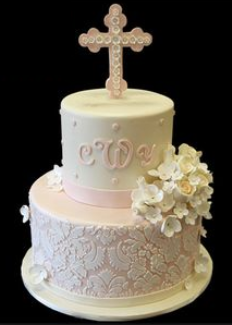 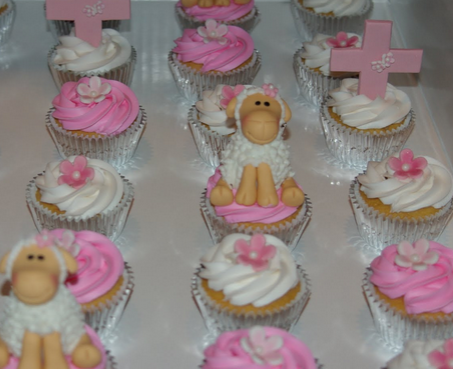 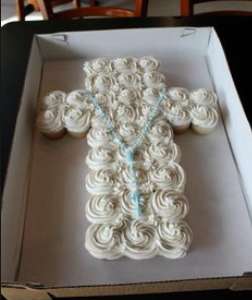 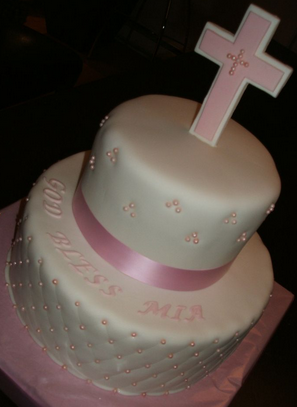 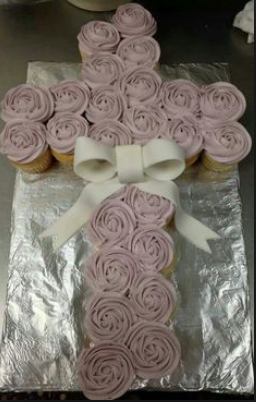 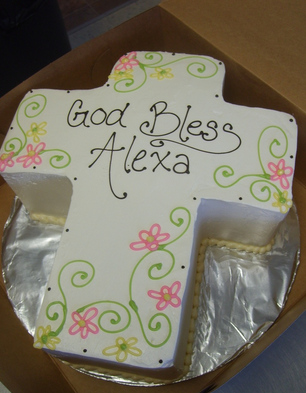 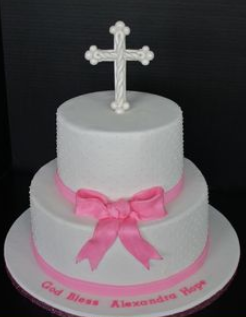 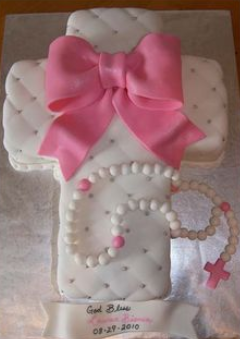 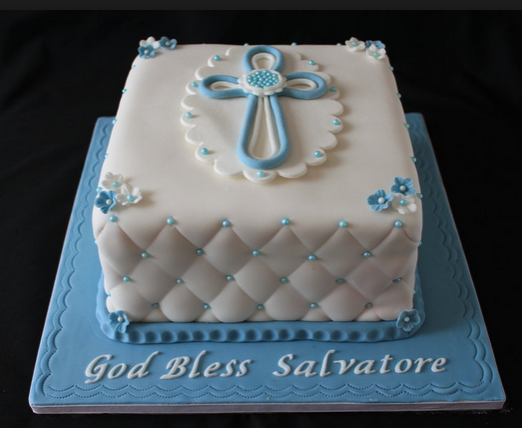 Baptism is generally celebrated with a nice selection of baptism cakes or just one big cake, there are lots of ideas and decorations you can add but the most popular is to add the cross onto the cake or to make the cake shape a cross with a personalized icing name piped on of the person being baptized.